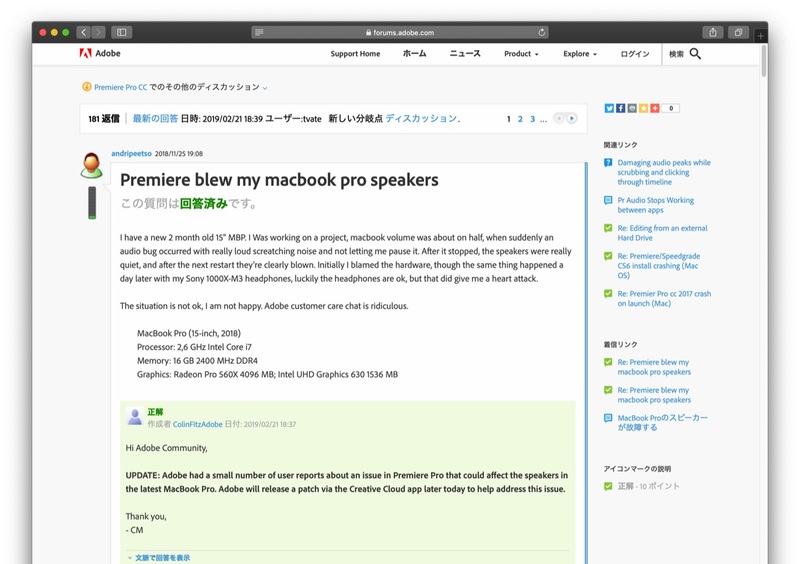 Adobe Premiere Proだけではなく、Avid Media ComposerでもMacBook Pro (2018)のスピーカーが破壊される不具合が発生しているもよう。 | AAPL Ch. Some 2018 MacBook Pro users are having their speakers broken when certain audio plugins are used in NLEs. I’ve been using Avid nearly everyday for 12 years, I’ve rarely had a positive opinion of it, but today I am really pissed off at this utterly garbage software.